El Rancho de las Golondrinas in Santa Fe, New Mexico, part of the El Camino Real de Tierra Adentro National Trail. El Camino Real de Tierra Adentro — Royal Road of the Interior Land — memorializes the Spanish trading route between Mexico City and the San Juan Pueblo, located in today’s state of New Mexico. Before the Spaniards, this route was travelled by native peoples for hundreds of years. From 1598 to the late 1880s, it became an official trading route, taking many months to complete. In the early 1880s, the El Camino Real was developed by the railroad, and many sections of the rail followed the historic path. Some portions have gained UNESCO World Heritage status. 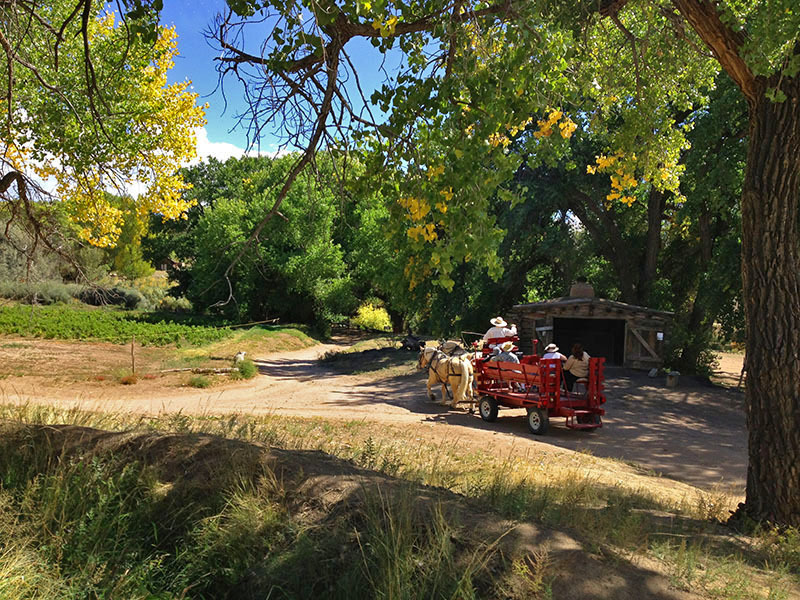 This trail can be experienced at sites like El Rancho de las Golondrinas in Santa Fe, New Mexico (pictured above).